Sri Lanka: Railways are a great way to cross the country and see the best of it and have the best possible island dream Holiday In Sri Lanka! 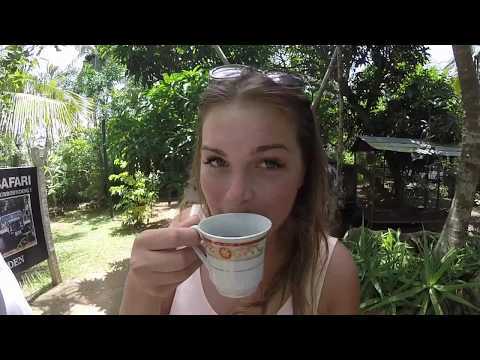 Holiday-Sri Lanka, It was the time of the year when we clearly said we needed a holiday. I and my boyfriend Jim are usually both quite busy due to our jobs so when it comes to vacation planning, we want to enjoy it to the fullest. And since we are both rather adventurous minds, we didn’t want to spend a couple of days by ordinary grilling on one of the beaches and obtaining some colour for our skin. When we say holiday, it equals venture and experience of all kind. A journey to the unknown with backpack, thongs and sunglasses. We want to create memories and stories we could tell when we are old and grey sitting down in our backyard with a glass of wine in our hand while the sun is slowly setting down. .. I know, I know.. enough of dreaming here! After short research through the internet when the Google search engine flooded our screen with thousands of options with a shortlisted couple of candidates in Asia since we were both initially aiming for this area. It was a little bit like throwing the dart on a map I have to admit since the choice was really tough. But eventually – after some compromising – our pick fell on the pearl of Indian Ocean. The small island paradise which has yet so much to offer. 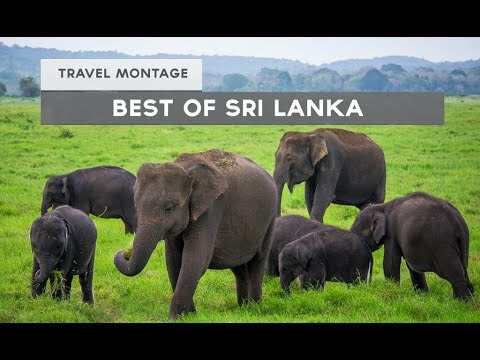 You are right, I am talking about Holidy-Sri Lanka here, the colourful land with exotic smell and wilderness carpeted with lush green tea leaves. Kick off in Negombo After quite a long flight where we spent hours just by sitting, consuming snacks, watching screens in front of us and also tracking the endless blue water surface underneath through the tiny frozen window, all while being forced to stick our butts inside of the aeroplane seat, we finally landed in busy Colombo International Airport shortly after lunchtime. Considering the time we just spend on board, we were both genuinely excited to finally start the real journey and reach out to the adventures awaiting ahead. After we quite chaotic introduction to the country while trying to find and get our luggage, passing through a dark hallway to leave the packed arrival hall and sometimes even elbowing our way through the colourful crowd, we finally get outside to the fresh and green decorated exterior of the airport. Straight from the airport, we directed our way on the bus to Negombo which is thanks to its close proximity and easy reachability nothing less than a perfect starting point on the western coast of Sri Lanka and also a perfect way how to avoid the madness of capital city during first days. We decided to stay in one of the nice hotels almost on the beach. The room was equipped with AC and there was a swimming pool just outside – what more one can wish for? We were quite surprised about the overall cleanliness of the city. Negombo is a lovely slow-paced beach city which undisputable got our hearts. For dinner, we decided to try out some of the local food from those kiosks down the main road where all the sweet and spicy flavour mix together in the air. After our stomachs were more than full of all the delicious food, we headed for an evening stroll on the Negombo beach which was even during this late hour still full of life. Though this particular beach does not belong to one of Sri Lanka’s finest ones, we were nicely surprised by this long and relatively clean piece of sandy beauty when the sun was setting down over the horizon. I was wondering how much more romantic this holiday could get?! Can you see that? It’s a dolphin! Next day we left early in the morning as soon as the sun popped out high enough on the sky. We rented a car with a local driver (to make things easier), which is one of the favourite ways for this journey and headed up a bit north to Kalpitiya which is known to be one of the wonderful small fishing towns on the west coast, made up of fourteen islands. After around 2 and a half hour of the smooth drive while we watched the beautiful coastline from the back seats of our rented car we finally arrived at the city which is also famous for its marine sanctuary. Since there is plenty to do, we didn’t hesitate even a little bit while deciding whether to stay there for the night or not. Kalpitiya with beautiful surrounding nature, different animals looking at you from every corner and extremely nice and warm people are almost perfectly made for tourists. Since we arrived quite hungry, we were more than excited to try out another round of the local cuisine. This time we could not resist having some fresh prawns and fish directly from the sea just like in the typical fishing town. After a short exploration of the city and an early lunch we jumped on the board of one the fishermen’s boat who took us further from the coast where there was only us, our boat and overflow of pure blue ocean water. And dolphins.. Hundreds of them! They were jumping everywhere around us, chasing each other and playing games in front of our eyes. It’s almost impossible to describe how gorgeous the moment was. Surrounded by genuine nature beauty in its pure and lively form. The two hours passed so quickly and we took at least thousands of pictures of dolphin fins and their incredible owners childishly jumping above the sea surface. I only wish we could stay there so much longer because the whole experience was simply gorgeous. I think we have never seen something so cute and impressive as those marine creatures during our boat trip. After the night spent sleeping under the mosquito net, we hit the road again. The plan was to spend the whole day in the Wilpattu National Park which was only a short ride up north. The park is a jewel of natural brilliance not only thanks to its admirable size, making it the largest one in Sri Lanka, but mainly thanks to its generous wildlife. During our safari tour when our driver took us through this beauty full of natural lakes, we got the chance to witness some stunning views accompanied sometimes with crowds of peacocks and eagles or other times with plenty of lizards, a herd of wild pigs and also deer. A couple of times we were even so lucky to spot some truly exciting animal species such as water buffalos, elephants and one scary mugger crocodile. We truly appreciated that the park itself was not that packed with tourists so we could enjoy the atmosphere to the fullest and undisturbed. Unfortunately, we were not lucky enough to find any leopard which this park is very famous for. I guess one can’t have everything, right? Our Holiday-Sri Lanka: Cultural Triangle For the following day we moved to Anuradhapura. This beautiful ancient city with a population over 50 000 people is located around 200 km north from Colombo right along the Malvathu River. Anuradhapura is steeped in history and even nowadays still considered sacred place. It is said that the city was established by cutting the Bodhi Tree (tree of enlightenment) brought there by Sanghamitta – the founder of an order of Buddhist nuns in the 3rd century B.C. As we were a little tired of sitting in a car or another moving vehicle, Jim decided to make a little surprise for me. Since he knew how unsafe I felt about travelling with a tuk-tuk, he decided to arrange to rent a bicycle to ride around the city by using little of our own manpower. I was not sure about his decision at first but it eventually turned out to be the best we could do. It allowed us to visit most of its beautiful site all while maintaining some great exercise. Refreshed by rich breakfast containing fried eggs and a full plate of fresh fruits, we hit the pedals full of energy. Riding a bike through the busy roads was sometimes an adventure itself. But then we left the crazy city traffic full of tuk-tuk drivers and everything started to feel like a pure freedom on two wheels. The most imposing and powerful site for us was definitely the gorgeous white painted Ruwanwelisaya, the holy stupa with its unique architectural design. Jaya Sri Maha Bodhi which is claimed to be the oldest living tree in the world and also one of the branches of the holy Bodhi tree; or Thuparamaya which is Sri Lanka’s oldest stupa claimed to be holding the Buddha’s actual collarbone. I was so surprised by the behaviour of locals who seemed not to see tourists that often. We were happily greeted by strangers at least 20 times and despite the poor English, we maintained a couple of nice conversations. Two of the ladies even joined us for lunch the delicious spicy curry with steamed rice we had. Due to the longer distances between different sites, I was eventually so glad that we didn’t have to walk the whole day and chose the seat of the bike instead. We were both completely exhausted that we just quickly ate our yummy chicken kotta for dinner and fell asleep in a second. we both agreed that the bike trip was such a great idea and therefore we chose this active way of sightseeing again the next day while wandering around another Sri Lanka’s ancient city – Polonnaruwa. We had a feeling like someone was trying to hide this town inside a thick jungle in North Central Province of the island. 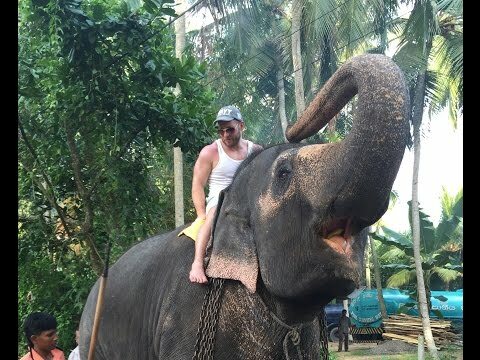 Here again, we tried to strive for an excellent balance of visiting beautiful monuments and enjoying the incredibly tasty cuisine only Sri Lanka can offer. Polonnaruwa is also a lovely garden town rich in history which is visible on every temple, statue or monumental ruin of this proud UNESCO World Heritage Site. The Royal Palace, the Gal Vihara, the King’s Swimming Pool or the Sacred Quadrangle were simply stunning and totally worth the trip! Our next stop was Sigirya, the remaining city of the cultural triangle. The city is dominated with the palace built by King Kasyapa (477-495 CE) on the top of the massive rock which is now known as the Lion Rock and is Sri Lanka’s most visited historic attraction. We were able to see this magnificent rock fortress from a huge distance already while approaching the city and it truly left an impressive memory. In the afternoon we moved further south to get ready for one quite interesting trip. bulk of various legends explaining the Sacred Footprint (unusual depression at its summit). Out seventh day we woke up extremely early, had an amazing breakfast and headed to hit the hiking road. We chose to start climbing early instead of during the night as sleepless nights are not Jim’s favourite. Though I dare to say we are bough in quite a good shape, the climb was incredibly demanding. We took the route from Dalhousie village where we stayed overnight, which is claimed to be the easiest ascent. We passed the massive Buddha statue and Buddha shrines. After the Peace Pagoda, the route got more and more steep as we walked further. Especially the section where there were handrails, the climb got to be quite a struggle. I believe we were simply tired from previous days though since fellow hikers seemed to be full of energy. It took us a bit longer than 4 hours to get to the summit since we choose the calm but steady pace. Indeed we stopped multiple times to make a short „tea break“ by resting stops and recharge our bodies. The summit itself and the footprint were less magnificent than we expected, though the view over mist blanketed peaks was simply amazing, despite the fact that watching the dawn would be probably more magical. We rang the bell as a symbol of our achievement and strolled around the summit for a while. The following descent was so much quicker (though even more painful) and we were back to our base in less than three hours. I have to admit that after all that, my legs felt like made out of jelly but the feeling of conquering the impressive, most sacred mountain in Sri Lanka. Yala National Park After we took the well-deserved rest for the remaining time of previous day, we moved our sore human shells to a moving vehicle and drove a long way even more south – directly to the wonderful and well known Yala National Park. We chose the 2 pm entrance time to the park. Since we were both still quite tired from the previous day and I had sore muscles on parts of my body I didn’t even know about, we appreciated the comfort of our Jeep with a safari driver (which we booked beforehand) who took great care of us. Managed to Spot Animals in Incredible Way. The landscape of the park offered some wonderful sceneries with lakes and grasslands and everything looked so peaceful and calm. Same like in Wilpattu National Park while crossing the bumpy road we got lucky to see many deer, buffaloes, wild pigs, crocodiles and couple of elephants (there is about 300 of them in the park) who seem to be a bit shy. Hard to say which one of the parks felt more beautiful. I would say that each one of them has a different atmosphere so I’m glad we visited both. In Yala, there was eventually a lovely deserted beach at the end of the safari where we stopped for a nice walk. Our last real day was dedicated to a smaller fort city Galle in the right bottom of the island and couple of beaches along the southern coast. Given instruction by the information centre and equipped by a city map we decided to explore the main attraction first – the fort. Nearby the fort, we passed a huge playing field full of kids cheerfully running around with cricket rackets. Inside the fort, we paid a small entrance fee to see the Maritime and History museums which were both worth a visit. We also walked around the ramparts which offered a beautiful view over the over the ocean and nearby naval port. After visiting the fort, we stopped by the fishing harbour to grab some fresh lunch out of the sea waters and with fish in our hand we also bought some souvenirs at the local market and finished the afternoon in a local boutique with a hot coffee cup. In the evening we caught a train which took us back to Colombo as unfortunately, our trip was about to come to an end. The next day morning, we boarded our return flight back home. Warm-hearted people. 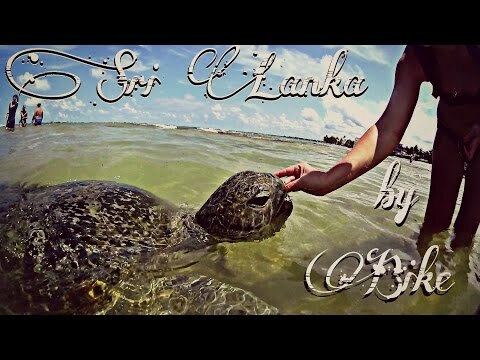 I can’t wait for our next holiday in Sri Lanka! I do believe this is one of the most vital information in my opinion. And i’m glad reading your article. Just wish to say your article is as astounding. The clarity in your post is just great and i can assume you are an expert on this subject. on this website that has shared this great bit of writing at at this particular place. Keep up to date the pleasant job. If some one desires expert view about operating a blog then i recommend him/her to visit this webpage, Keep up to date the pleasant job. Do you Able to pay me?? ?